Delicia Gomez a Vallejo, California religious private school teacher is arrested dealing heroin and methadone. Remains in custody in lieu of $53K bond. A report via KRON 4 told of authorities taking Gomez into custody after arriving at her home on Aug. 25 in regards to an outstanding warrant stemming from possession and identity theft charges. The warrant comes after police learned earlier this month that the 36-year-old woman had allegedly been dealing heroin in Napa, Calif.
An Aug. 10 search of her home uncovered methadone, a powerful pain medication commonly sold on the black market, as well as a California ID card that did not belong to Gomez. She was not arrested at the time, according to police. ‘As they continued their investigation, NSIB detectives recovered additional evidence outlining Gomez’s involvement in drug sales,’ police said in a press release. The press release cited by Kron 4 noted Gomez being was an elementary school teacher at a private religious school in Vallejo and a former tutor at a Napa learning center. It wasn’t immediately clear what subjects the women taught. While she was being booked, police allegedly discovered three baggies of what they believe to be heroin on her person. 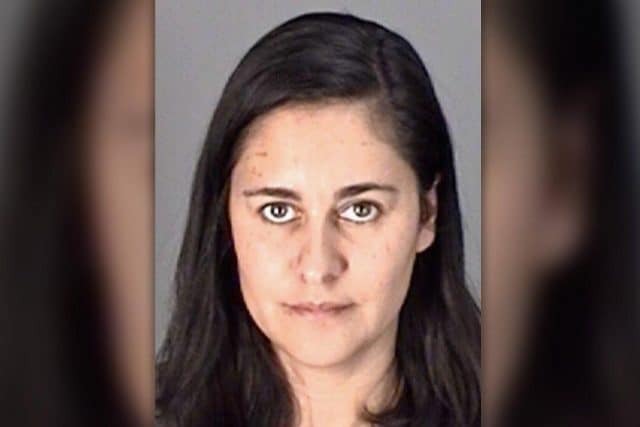 Delia Gomez is expected to face additional charges for attempting to bring controlled substances into a correctional facility. Both schools were Gomez taught were notified of her arrest but it’s still unclear what disciplinary actions her employers will take. Yet to be necessarily understood is how long the private religious teacher had been dealing and whether the contraband funded her own illicit use. Gomez remains in custody at Napa County Department of Corrections in lieu of $53,000 bail.